Fat is a book about why the fat body has become so reviled and viewed as diseased, the target of such intense discussion and debate about ways to reduce its size down to socially and medically acceptable dimensions. It is also about the lived experience of fat embodiment: how does it feel to be fat in a fat-phobic society? Sarah Burton finds the book’s vast range of critical perspectives which stand alongside the examination of popular culture and political activism makes it thoroughly relevant and a particularly worthy starting point for undergraduate readers or those new to the study of identity. Fat. Deborah Lupton. Routledge. August 2012. Fat is part of the Shortcuts series – a set of concise, accessible introductions to a range of topics. It’s a book which provides a handy, succinct and lively coverage of recent developments related to fatness, from medical discourses including the “obesity epidemic” (4), critical weight studies and fat activism. Deborah Lupton takes an avowedly poststructuralist stance throughout as she explores ‘fat as a cultural artefact’ but also investigates the “lived experience of fat embodiment: how it feels to be fat in a fat-phobic society” (3). Lupton begins by contextualizing the treatment of, and response to, fat in contemporary society as an embodied identity perceived to be volatile, disorderly, alien and grotesque. Further to this Lupton asserts that the social reaction to fat is predominantly an attempt to bring it under control – to regulate and even punish the fat body. Writing that “fatness overwhelms…identity” Lupton points towards perceptions of fat as more than simply an aspect of the person; instead it is an entity in itself which threatens to overtake the “normal” body. The book makes the crucial point that “[i]n and of itself, fat has no meaning” and as such Lupton examines the “specific historical, social and cultural context” in which fatness is lived (3). However Lupton’s claim that “these meanings are dynamic and shifting, subject to changes as the context changes” (4) which sees fat as simply a substitute for the multifarious other inscrutable identities examined within sociology. The theoretical grounding of the book discusses the social construction of fatness as a concept preferential to cultural and medical notions of obesity. Lupton’s brief but lucid explanation of the terms discourse and poststructuralism, may be particularly useful to undergraduate readers. Ending the introduction by drawing links between both queer studies and disability studies chiefly as they relate to “stigmatizing and moralistic discourses” and to the “social model” which sees disability as a social construction, Lupton clearly demonstrates the various ways in which this study builds on existing scholarship. In keeping with the aim of the book as an introductory text, Chapter Two “Thinking About Fat” provides a review of different perspectives within fat studies. Beginning with the anti-obesity perspective located in medicine, public health and nutrition the author explores these “unproblematized” approaches to fat. This perspective sees fatness as a major health risk which requires urgent action and the implementation of preventative strategies. This discourse is possibly the most recognizable of all rhetoric surrounding fatness, given its prevalence across news media, reality television, books and blogs. It is therefore essential to a critically nuanced understanding of the rest of the book that the reader has this familiar discourse unpacked and tested by Lupton. Following this is a romp through various alternative perspectives within fat theory which counters the anti-obesity approach. The critical biomedical perspective holds that the epistemic evidence of the anti-obesity approach may be read very different: it challenges the idea of an “epidemic of obesity” whilst arguing that life expectancy has increased and there exists a lack of statistical evidence to support fatness as a cause of ill health. Critical weight studies/fat studies engages with a range of scholarship in the field – Foucault (biopolitics, the medical gaze), Goffman (presentation of self and social stigma), Deleuze and Guattari (assemblage, the importance of space in theorizing the body), Merlau-Ponty (selfhood as inescapably embodied) and a range of feminist philosophers including Julia Kristeva and Elizabeth Grosz. The range of work drawn on by fat studies and the way in which it is used will be extremely familiar to anyone working within poststructuralism, queer, feminist, gender, disability and even race and ethnicity studies. Indeed fat studies appears to take the same theorists conventionally used to explore the place of minority or subjugated groups and applies them in very much the same manner to fat. This is both a strength and a weakness: whilst it undoubtedly offers alternative insights into problematizing the “problem” of fat in Western society, the work itself seems to have little new to say about the philosophers it utilizes. This however, is a criticism of the genre of study rather than Lupton’s book specifically. Lupton, in her chapter titled “The Transgressive Fat Body”, she seeks to discover why the fat body inspires such “visceral and negative emotional responses” (49) and addresses this by examining “the ways in which the binary opposition between Self and Other is maintained via the projection of feelings of disgust and revulsion upon the fat body” (49). The chapter is extremely interesting and as with the rest of the book, is written in a style which manages to be simple without being simplistic and easily understandable without patronizing its reader. Lupton begin by discussing the relationship between fatness and morality noting that the “constant association of fatness with disease and ill health results in the fat body bearing the negative meaning of illness” which Lupton defines as “loss of control, disorder and chaos and threatened rationality”. Lupton attempts to make links between moralizing discourses brought to bear on “obese” people and the “moralistic assumptions” about illness generally, especially in relation to “lifestyle choices” (50). Whilst this is undoubtedly a valid reading of fatness and cultural discourse, Lupton occasionally relies a little too heavily on generalizations to make her point. For instance, “ill people are continually subject to moralistic assumptions” seems a tad far-fetched – different types of illness being treated differently according to their cause. Lupton goes on to examine fat bodies in the media, highlighting the “humiliation and shame” visited on the fat body. This section interestingly exposes the guilt provoked in fat people by the normalizing media. The following section on the grotesque fat body briefly examines fatness as excessive, undisciplined and in binary opposition to the “civilized thin body”. Lupton’s initial introduction to the grotesque body trope as “above all carnal” (55) gave initial hope of an examination of fat as sexual – voracious, lustful, uncontained – but sadly this did not appear. Instead there is further recourse to binary oppositions which, at this point, began to feel a little stale and particularly odd for a text so rooted in poststructuralism to adhere to fixed dualistic categories. The capitalization of ‘self’ and ‘other’ throughout the text, treating them as proper nouns, typifies the approach to identity as fixed; indeed the text as a whole seemed to lack space for concomitant multiple identities being embodied within ‘fat’. The chapter ends with Lupton addressing “femininities, fluidities and fatness” (59) in which she challenges notions of the containment of the body, specifically the “leakiness” of female bodies. This initially felt exciting but again, the dichotomous interpretation remains and the fat body is directly paralleled to the anorexic body. Fat is an excellent introduction to the study area: it is comprehensive, extremely well written and engaging throughout. Its flaws may be largely explained by its entry-level purpose and it is certain to prompt its reader into further inquiry. Moreover, the vast range of critical perspectives given alongside examination of popular culture and political activism make the text thoroughly relevant and a particularly worthy starting point for undergraduate readers or those new to the study of identity. Sarah Burton is currently an ESRC-funded doctoral candidate at Goldsmiths College. Her research uses the concept of mess to investigate the value system(s) underpinning the production of knowledge in contemporary social theory. Having also spent several years involved in various artistic projects centring round theatre, classical music and writing/publishing, her academic research draws both on her formal education and also these forms of creative practice. Sarah convenes the British Sociological Association Postgraduate Forum and Activism in Sociology Forum, of which she is a founding member. 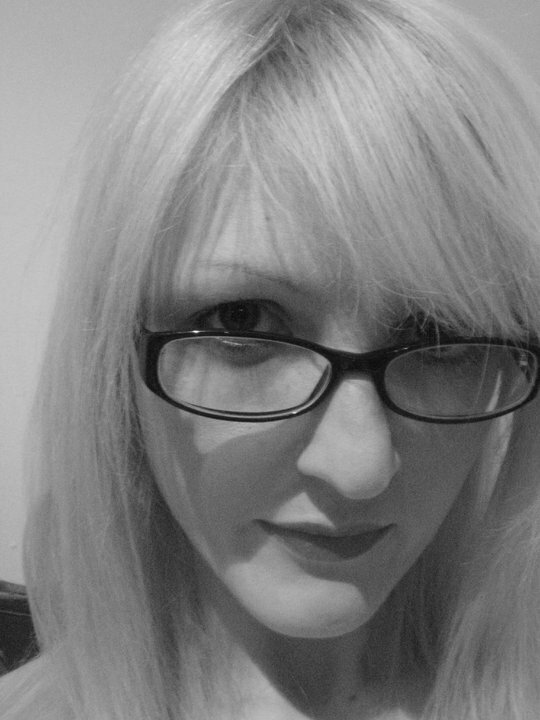 Sarah also does lots of ‘fringe’ academia and is part of the collective working on the Woman Theory project. Read more reviews by Sarah.